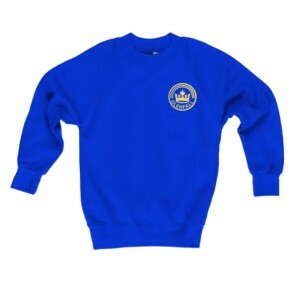 The school uniform is royal blue, grey and white with smart, practical school shoes. Many items with the exception of ‘Crested’ sweatshirts and cardigans are freely available from most supermarkets. We actively encourage the children to dress smartly and appropriately for school; not in jeans, trainers or high-heeled shoes. Most girls wear a blue check dress in the Summer but this is purely a preference.